Podcast Nr. 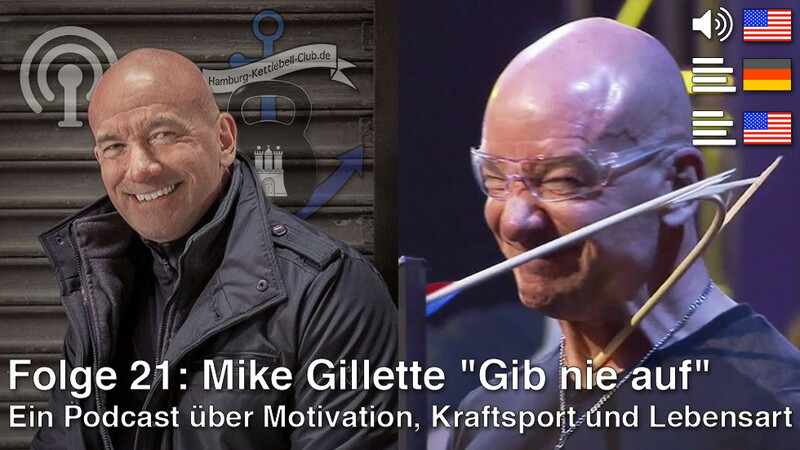 21 - Mike Gillette "Never give up!" Mike Gillette has a fascinating personal background. His early childhood was marked by poverty and violence. He withdrew into himself and because of that felt very lonely, but he did not want others to know about his situation. As a teenager he took to drinking and used drugs. Even though he knew that he should take his life into his own hands and get himself out of this mess, he could not find the strength to do so. At age 18 he thought his life no longer had any meaning. He tried to kill himself with a mix of alcohol and pills. He survived - fortunately. Soon afterwards he ran into an old female friend (his now-wife), and started attending church regularly. This left a lasting impression on him and encouraged him to change his life. He completely quit drinking and stopped using drugs. But also the rest of his life changed for the better. He went to the U.S. Army. After he left the army he had many very interesting jobs and positions. He worked as a police officer, was a paratrooper, SWAT commander, anti-terrorism consultant, bodyguard of the Fortune 500 CEOs and a record-breaking strongman. He is a motivational speaker, mind coach, author of several books and has produced videos. Today he reveals how he became this amazing and remarkable person. Download Ebook: "5 ways to become tough as nails"
And one of the favourite books of Mike and me: "The Mighty Atom: The Life and Times of Joseph L. Greenstein by Ed Spielman"